An interview with the Army General Petr Pavel made during Future Forces Forum exhibition in Prague. 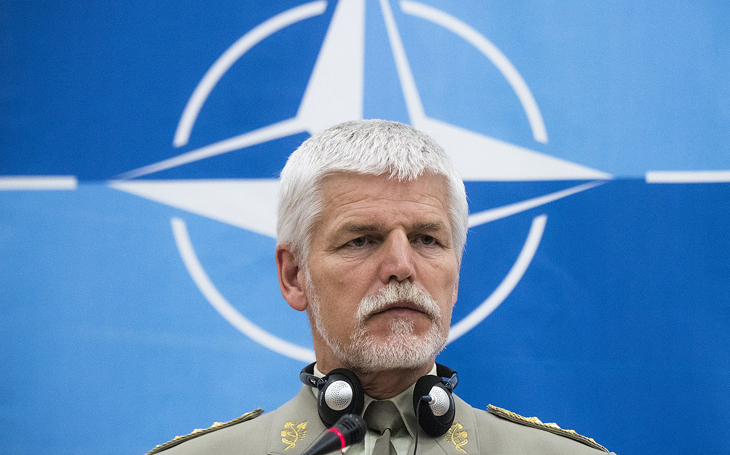 General said the successful elimination of one of the perpetrators of the August terrorist attack which killed three Czech servicemen in Afghanistan, and capture of another one, was an act of justice carried out by the 601st Special Forces Group. On the deployment of the Russian army in Libya he suggested to avoid conflict situations, and expressed hope for settlement among the different parties of the conflict in Syria following the defeat of the Islamic State. The Army of the Czech republic should rely on the excellent background of the civil and defence industry, and Czech republic should try to support its products in European context. General, I need to start with the breaking news of the day. As the media announced, the paratroopers from Prostějov managed to catch one of the perpetrators of the attack on our soldiers, eliminate him, and capture another one. Your thoughts? I think it fits precisely the context of the declaration of the Chief of General Staff who said that any attack against our soldiers would not go unpunished. And I would concentrate on the expression „unpunished“ in the meaning that it is not eye for an eye, tooth for a tooth, but it is about bringing those reponsible to justice. That’s what our army is doing, just like all the other armies are doing it. At the moment of such incident, it makes all efforts to bring the perpetrators to justice. In this cas the aim was to seize them, and of course it can be expected that they would fight back. In such case our servicemen apply the rules of selfdefence, as per the regulations. Let’s talk about two problematic regions in the world. The first thing is that the Russian army operates in Libya. According to you, is that a factor which helps to moderate the situation, or does it rather create some new risks? It is not a new situation. The Russian army operates in Libya for some time already. From my perspective it is a Russian effort to return into this region, where Russia traditionally used to have good relationships. From a more general point of view it is somewhat destabilizing, as our efforts should be to find a common solution for Libya. If the big players carried out their own policies in Libya than it would certainly split the efforts, it would lead to confrontations and possible conflict, that we should perhaps try to avoid. The second issue is Syria. Not long ago we learned that Syria decided to purchase the S-300 systems from the Russian government. I ask the same question: is it stabilization or rather destabilization of the region? Even in this case I think, generally, more weapons won’t bring better security. The ideal solution would be to manage to get all the major involved parties in Syria to one table and to agree on ending the violence and to peacefully stabilize the country. Of course it is rather a wish than reality. At present Russia answers in particular the downing of its aircraft, which is why it provides Syria with anti-aircraft systems. I do not think this came from a Syrian initiative. It can destabilize the situation, because more the weapons is capable, more tensions it brings into the region. I hope that all the parties will soon agree that the major problems in Syria, which were the Islamic State and the major extremist groups, do not present urgent threat anymore, and that the second phase will follow. That is to say stabilization of Syria and restoration of normal situation, when Syria will be progressively reconstructed as normally behaving state. General, we are here at the Future Forces Forum. What do you like the most, what attracted your attention in particular? I’ve been at the Future Forces Forum several times in the past, and I percieve it as a very useful platfrom for exchange of knowledge, experiences, the best procedures that the different countries apply when they introduce new technologies, new methods. I think that for us, as for a small army, it is the path we should follow with great attention. Because what we cannot achieve with quantity we must recompense with quality. We have a relatively good base in our industry, in both the civil and defence industry. And I think that in this domain we might play a relative important role by applying the products of our industry not just within our armed forces, but by trying to apply them in European context.